The Hydratec office in Hampshire will soon be home to our new, refurbished training room for trainee lift engineers and mates, further enhancing our current training programme. With the final touches being made to our fully functioning hydraulic training lift, the refurbishments are almost complete, ready to be used alongside our other classroom facilities. Whilst these final touches are underway, Hydratec have been working on other aspects of the facility, to ensure that every edge of space is being used to its fullest capacity. Aside from the training lift itself, we identified that we required an area for trainees to work with different hydraulic components and equipment in an un-cramped and organised environment. 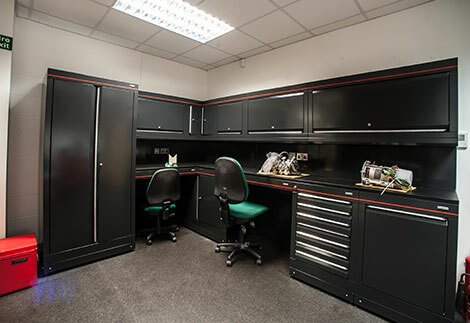 This led us to the idea of a work area which could also be combined with storage for the hydraulic components and other training equipment in use. However, with the training lift and lift controls requiring a good deal of space, we needed to come up with a solution that would maintain a spacious environment. We decided that a corner workstation would be ideal, leaving plenty of room in the centre of the facility for trainees to watch demonstrations with the training lift, and work with the lift and lift controls themselves. Therefore, after looking over our choices, we carefully selected a workstation which could fulfill these requirements. Our compact workstation encompasses a sturdy workbench with lockable cabinets and a variety of drawers for storing all training equipment and parts. Not only does this clever storage keep everything close to hand, it also keeps it separate from our main parts storage area, maintaining an organised working environment. As well as being a necessity for our trainees to work with, it is also an aesthetic enhancement to our overall training facility, with a sleek, metallic black exterior and red accent. We look forward to seeing and making use of the final outcome in the very near future. 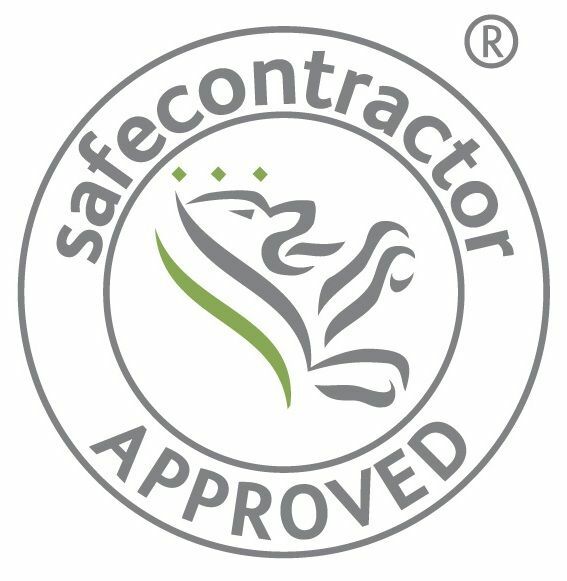 ← Hydratec are now Safecontractor Accredited!